I don’t know about you, but when it comes to a computer keyboard, size matters, and bigger is much better. My accuracy level drops dramatically when the keyboard shrinks. I can get the basics done on my laptop but, for me, the flat, compressed keyboard is not ideal for long-term typing. Needless to say that when I type on my iPad, typos go flying hither and yon. 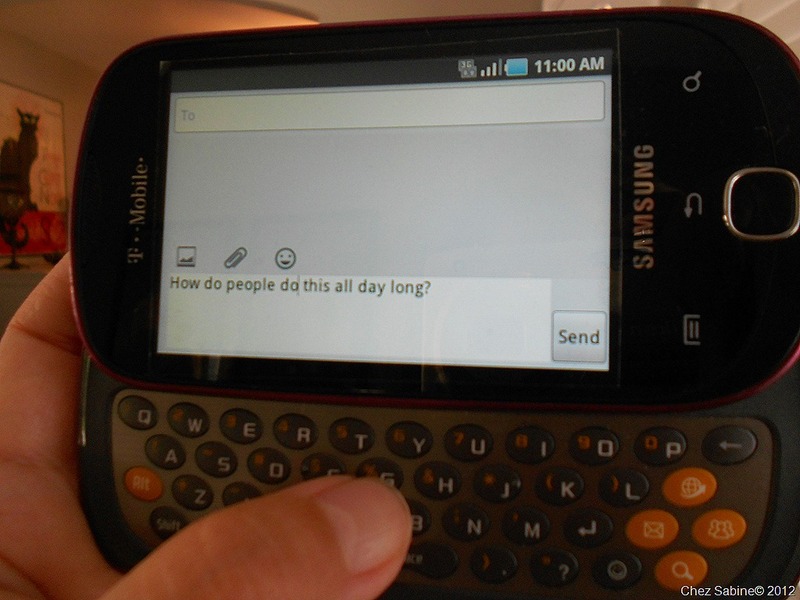 And when it comes to texting on my itty bitty phone keyboard, I might as well be communicating in Urdu. I spend a lot of time at my computer and still love the dinosaurs that are desktops. I appreciate the big screen and the roomy keyboard. When my PC went paws-up recently due to a deadly virus, I bought a new one, but when I opened up the keyboard that was included, it looked a bit flat. That’s because I recently bought the Logitech Wireless WAVE keyboard and mouse combination to use with my laptop. But I tried it with my now-dead desktop, and found that I couldn’t go back. I wanted to share a review of the Logitech with you because if you have issues with your fingers and hands after typing for a while, then you might want to check out the WAVE. It’s not as ergonomically radical as the broken or split keyboards, which I could never get used to, but it’s also very different from the basic flat keyboards most of us are used to using. Logitech Wireless WAVE Keyboard MK550 and Mouse combo, about $80 through logitech.com and at Costco. First look: This is a bit of a Goliath in that it’s pretty large and needs more room than traditional keyboards. It’s about 19 inches wide and 10 inches at its deepest point at the top of the curve. The combo comes with the K350 keyboard, the unifying receiver, Logitech SetPoint software CD, 4 AA batteries, wireless mouse and a receiver extender cable. It also has adjustable foot pegs should you want to use the keyboard at an angle. 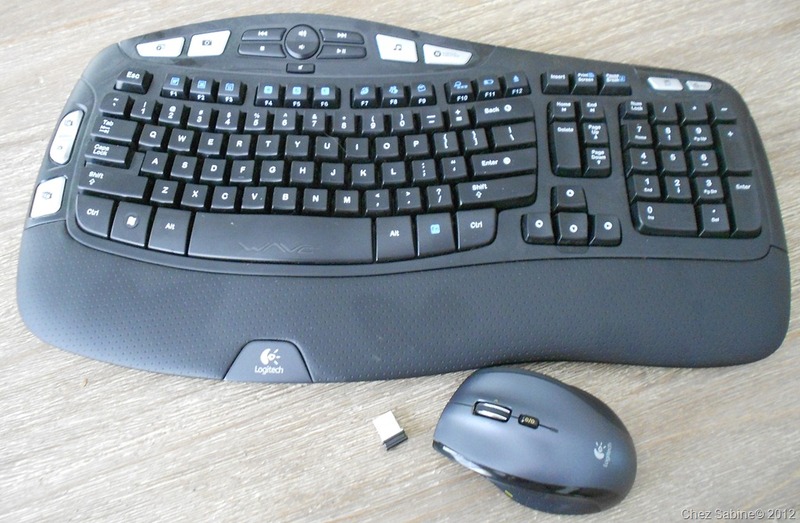 The Logitech keyboard works only with Windows-based PCs, and an Internet connection is necessary. Good news: Super easy setup. Just plug the tiny unifying receiver into your USB port and you can start using the keyboard immediately. My hands felt instantly more comfortable as soon as my fingers hit the Logitech keyboard. The padding on the lower part of the keyboard isn’t super plush, but it’s more than adequate to keep my palms supported and comfortable. The slight rise and fall of the roomy keys offers just enough of a break to keep my fingers from feeling stressed after a typing marathon, and the ample spacing keeps my accuracy in check. The keys have a solid, quiet feel. And while, at first, I wasn’t overly interested in the additional features that you can access using the SetPoint CD, I ended up really liking that I could press a key and the calculator would pop on the screen or that the simple stroke of another key brought up my email. This saves my right hand from grabbing my mouse to navigate places I use often as I type. You can configure the mouse and keyboard in a variety of ways or use it as is, without the SetPoint software CD. And, speaking of the mouse, it has a hefty feel and moves smoothly to take me from one place to another. 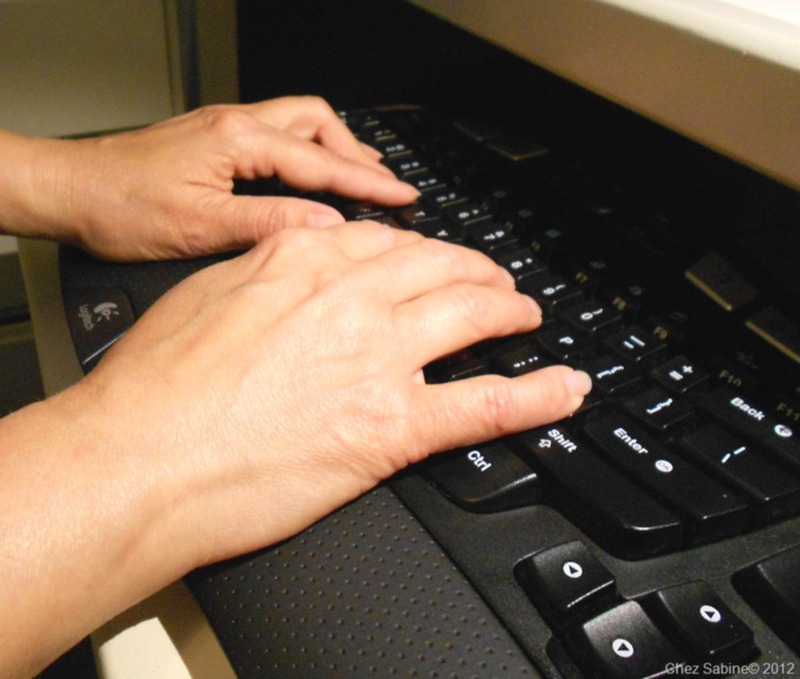 It’s designed to be used by right or left-handed typists. Bad news: Did I mention that the keyboard is pretty massive? 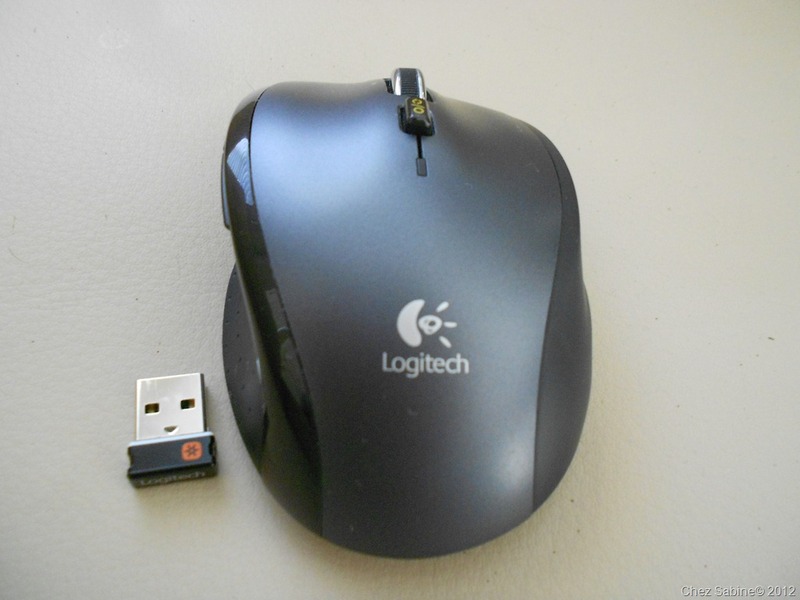 Make sure that you measure your space before you consider buying the Logitech. Last words: Since my hands hit the WAVE, they’re never going back to flat.